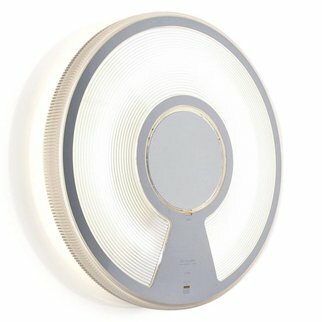 A luminous disk of polycarbonate, a brilliant design. 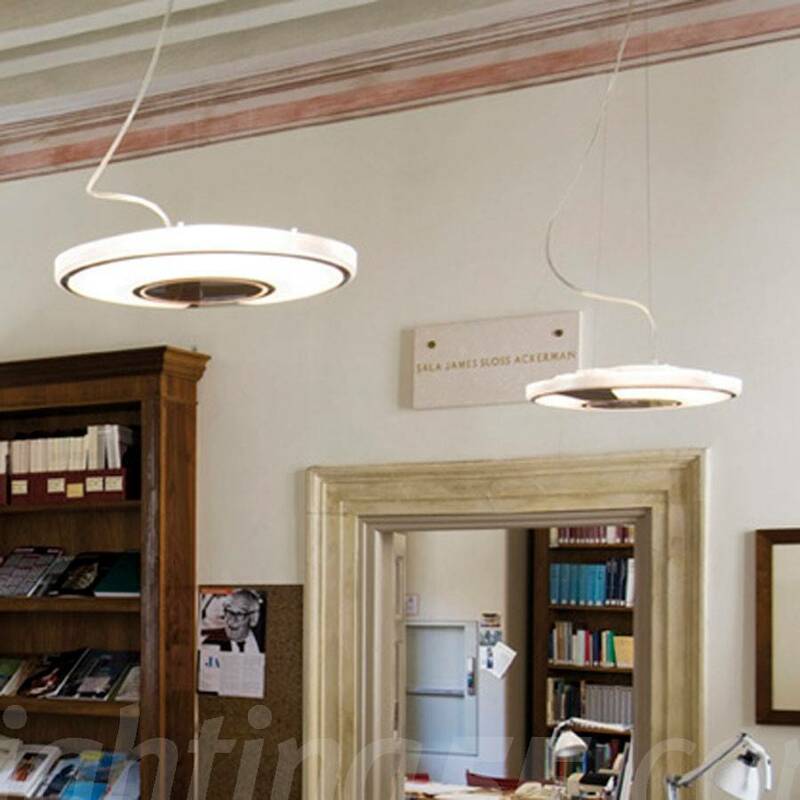 A basic form, the circle, creates seductive lighting effects with a seamless series of reflections refractions, producing soft, enveloping fluorescent light. 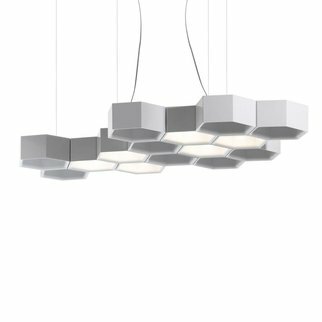 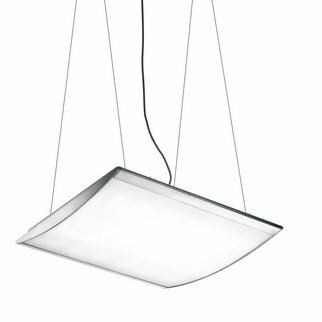 For the wall or ceiling, or in the suspension version, Lightdisc offers a simple response to any type of functional complexity. 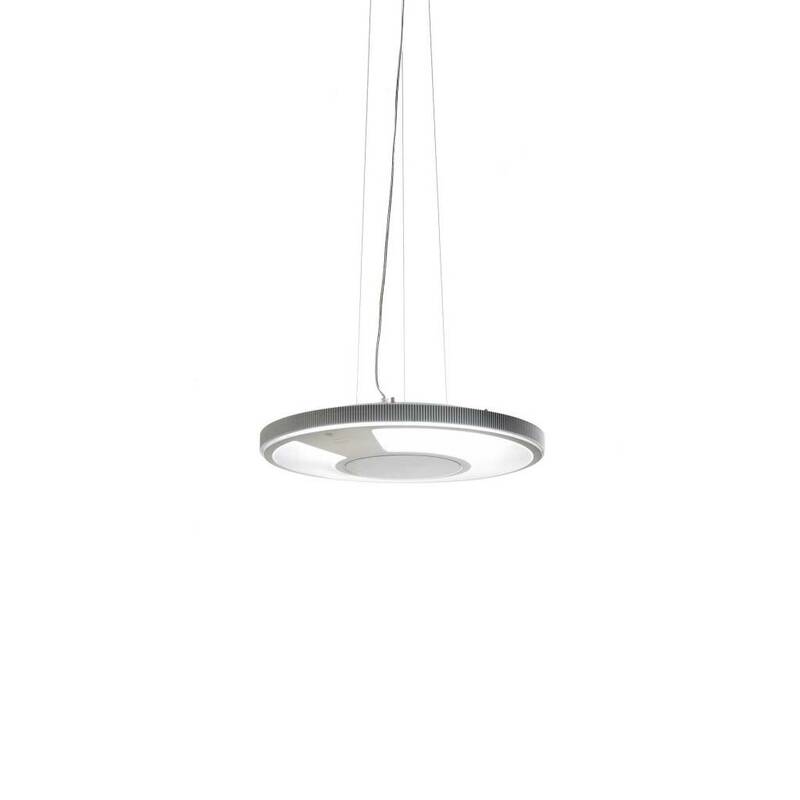 The light and subtle luminous disc made of polycarbonate emits a soft and intense light. 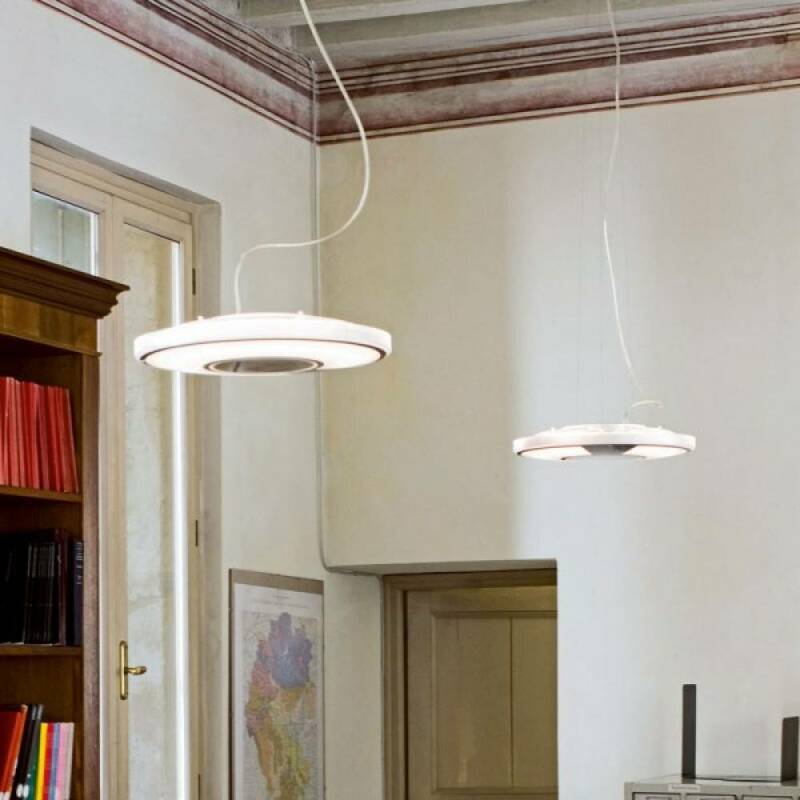 The lamp’s circular design follows the shape of the fluorescent lamps.